A thrilling interactive online adventure. Best-selling author James Patterson brings mystery fans an original, interactive and thrilling adventure filled with scandalous discoveries in Women's Murder Club: A Darker Shade of Grey. 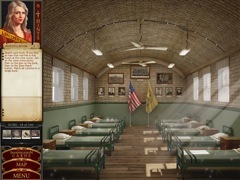 Players will wrap themselves in an intense crime scene while assisting the famed heroines of Women's Murder Club as they uncover years of corruption, cover-up and conspiracy within a prestigious Military Academy in South Carolina. 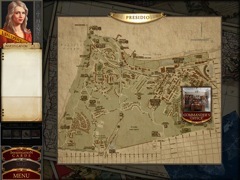 This grueling investigation will lead the team away from the City by the Bay for the very first time! Follow Lindsay and Cindy from California to South Carolina to explore the dark truth behind a "good old boys" network in the Deep South. Interrogate suspects, investigate military personnel with equal amounts of arrogance and surreptitious information, and analyze forensic evidence to help solve the crime in Women's Murder Club: A Darker Shade of Grey.